Under an onslaught of advertising exhorting us to explore Manitoba, we decided to spend our summer holiday in 2003 visiting some of the many museums and historical sites around southern Manitoba. We made a total of eight trips in July and August, and our travels included attractions in and around Winnipeg, day trips farther afield, and overnight trips. Most places we stopped were great for the value-conscious traveller or those on a limited budget. Entrance fees were usually low; some places accepted donations and some were free! In many cases, a low entrance fee could be decreased further using coupons. Sources of coupons included the Entertainment book and tourism booklets. One museum even had a coupon on its web site. To plan our trips, I went to the Travel Manitoba web site - www.travelmanitoba.com - and choose the activity Museums and Galleries. It listed all of the museums and galleries in Manitoba but I was able to select a region to reduce the number. (You can get the same information in the Travel Manitoba printed guide.) A travel planner feature was good because I could save the information for a particular attraction into a personalized itinerary. Unfortunately, it was not possible to print the itinerary. The web site is a good resource for finding information but their maps need improvement. It was very hard to figure out the location of the more obscure rural museums. It would be nice if there was a facility to print a map with one’s itinerary showing the locations of the selected attractions. The events section of the web site is good, as many museums have special activity days or weekends during the summer with added attractions. The dates of these special days are listed. Trip 1 - Are We in Holland? We decided to start our trips with an attraction that I had visited over twenty years ago. My husband had never been there and I thought the children would enjoy it too. An old commercial claimed that Steinbach was worth the trip for a good deal on an automobile. How about museums? Leaving home in mid-morning, we stopped along the way at the cheese factory in New Bothwell which has been around for 67 years. They have a shop at the factory that sells their 25 varieties of cheese. Visiting museums is always better on a full stomach! Leaving Steinbach, we drove north on Highway 12 to PTH 213 then west to PTH 212, then north to Cooks Creek. The site, about three miles east of Birds Hill Park, is home to the oldest settlement of Galician people in Western Canada. Our first stop was the Immaculate Conception Church and Grotto of Our Lady of Lourdes (www.immaculate.ca). Entrance was by donation. The church is a designated provincial and national heritage site. It has the characteristic onion domes of a Ukrainian Greek Catholic Church. The elaborately faux painted church was quite a striking contrast to the stark Mennonite church we had seen earlier that day. Started in 1930, the church took 22 years to build and seats 600 people. It is impressive to know that it was funded and built by the parishioners during the Great Depression. Just north of the church was the Grotto in Honour of Our Lady of Lourdes. It contains a central altar and cave-like wings that house the Stations of the Cross. Father Philip Ruh O.M.I. and his parishioners built it in 1954. The kids loved to explore the grotto’s nooks and crannies. There was a great view from the top of the grotto. Two kilometers north on PTH 212 at Sapton Road was the Cooks Creek Heritage Museum next to St. Michael’s Roman Catholic Church. The entrance fee (2003) was $3.00 for adults, and $2.00 for seniors and school-age children. A $2 coupon was in the Entertainment 2003 book. The well-informed tour guide took us through the museum which focuses on the Galician pioneers of the area. The museum was started by the parish priest, Father Krivanek, when he began collecting pioneer artefacts so the history of the people of the area would not be lost. The main museum is in the old church rectory and contains Slavic costumes, folk art, paintings, instruments, religious items as well as various antique clothing and household items. Some of the items were brought over from Europe. The rest of the museum consists of moved pioneer homes, a barn, farm machinery and the Reid blacksmith shop that was originally located in the community of Birds Hill. This museum’s outdoor clay oven was being used on the day we visited. The kids were fascinated to see how it worked. We arrived home around suppertime that day. Trip 2 - overnight - Westward Ho! Our family has driven past the Fort La Reine Museum and Pioneer Village, just east of Portage la Prairie, hundreds of times over the past 20 years. We finally stopped in for a visit three years ago and were very impressed. When we visited it again last summer, the museum had added two more buildings and a whole lot of new exhibits. Tickets (2003) are $5.00 for adults, $4.00 for seniors and students, $2.00 for kids 6 to 12 years, and free for kids under 5. There is a coupon in the Entertainment 2004 book. Tours are mostly self-guiding. This is very large village museum with over 20 buildings. 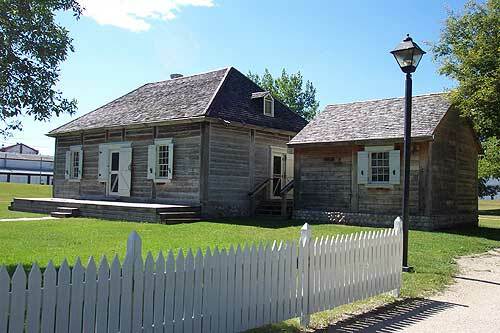 Most were moved from farms or villages around Portage la Prairie; a few are replicas of period buildings. They have several homes progressing through the ages, starting with a trapper’s log cabin all the way to a 1940s home. Each building is filled with period items. Other buildings in the village include offices of a dentist, doctor and lawyer, a small wooden fort, a one-room schoolhouse, and two churches (a Ukrainian Orthodox church which had just arrived at the site was off-limits during restoration). Fisher’s General Store was filled with period artefacts. It also had such items for purchase as candy, souvenirs, jams and jellies made from fruit grown on the museum grounds, and crafts made by museum volunteers. Two large sheds were full of Allis-Chalmers tractors and farm equipment - the largest collection in the world. They even have train, caboose and a signal shack. One of the new additions to the museum was a large building moved to the site from Southport, a former military base south of Portage la Prairie. It houses displays of the military history with such items as photographs, uniforms, equipment, metals, and a wall honouring the community’s war dead. They have just started to equip a 4H museum in a small area of the same building. After leaving the Fort La Reine Museum, we drove into Portage la Prairie. There we stopped in Crescent Park to view the monument for Arthur Meighen. It was hard to find. When we finally located it at the back of the park, we thought it was disappointingly unimpressive, considering that Meighen was the only Manitoban to serve as Prime Minister of Canada. From Portage la Prairie we drove west along the Trans-Canada Highway, then north on highway 16 (the Yellowhead Route) to Gladstone, where we hoped to visit the Gladstone and District Museum (adults $1.00; children 12 and under free). The museum is located in the old railway station, with a CNR caboose featured prominently on the front grounds, along with a monument commemorating noted historian, professor, MHS President, and native son William Lewis Morton. Unfortunately, the museum was closed on the day we visited even though the Travel Manitoba guide said it was supposed to be open. We continued west to Neepawa where our first stop was at the Margaret Laurence Home (www.mts.net/~mlhome), a provincial heritage site (www.gov.mb.ca/chc/hrb/prov/p025.html). Tickets are $3.00 for adults, $2.00 for students, $6.00 for families, with children six and under free. This is the restored home of Jean Margaret Wemyss Laurence’s maternal grandfather Simpson, where she spent her childhood after the death of her mother and father. A guided tour takes you through the various rooms, including her bedroom. Some of the family furniture is also on display. The museum contains some personal Laurence memorabilia including her doctoral robes and typewriter. For scholars, the museum also houses a research library of Laurence books, videos, and papers. Although our young kids thought the museum was a little dry, they liked the visitor’s map, which shows the origin of all visitors to the home, including one from Antarctica. A gift shop selling Laurence books and memorabilia was situated at the back of the house. Our next stop in Neepawa was the Beautiful Plains Museum. Admission is by donation. Like the Gladstone museum, it is housed in a former CNR station, and was closed on the day we visited. Its website (a “virtual museum”) contains interesting information but it does not tell you how to get to the actual museum, nor does it give details on hours of operation. Too bad, as it could be a useful way to encourage people to visit the real thing. From Neepawa, we drove south on highway 5 to the Trans-Canada Highway, east to Austin, then 2.5 kilometers south on Highway 34 to the Manitoba Agricultural Museum (www.ag-museum.mb.ca). Tickets are $5.00 for adults, $4.00 for seniors and students, and $15.00 for families. Tours are self-guiding. This museum is 50 years old and has been designated as Special Themes Museum by the Province of Manitoba (theme museum coupon available). We had the prior impression (in common with many Manitobans, we suspect) that the museum consists mostly of farm implements. Although the museum does have Canada’s largest collection (over 500) of operating farm implements large and small - horse drawn, steam, gas and diesel - what is less well known is that it also has over 20 historic buildings set in a “homesteaders” village, as well the Manitoba Amateur Radio Museum. There is so much to see at this museum, and it is quite spread out (50 acres), that you can easily make a day of it! Unfortunately, we arrived late in the day and had to rush. Those with walking difficulties should note that a shuttle service between the display areas is available. The farm implements are spread throughout the whole site. Some are in the open, while others are housed under roofs with some of the smaller items in buildings. We came on a day with intermittent rain so we appreciated the displays under roofs. My husband really enjoyed looking at the large steam equipment and suggested we come back during the Thresherman’s reunion so we could see them in operation. There are so many things to see that two visits might be in order. Like other pioneer museums, many of the buildings have been moved from nearby locations while the rest are replicas. The buildings include two original churches, two schools (one a rare log school and the other a typical one-room schoolhouse), four homes - ranging from a simple 1879 log house to a pioneer luxury manor - various businesses (many are replicas) such as a blacksmith shop, law office, post office, general store, print shop, barbershop, shoe and harness repair, livery, mill, grain elevator, railroad water tower, and a train station. The museum also has a large Centennial building housing an assortment of artefacts including carriages, and aboriginal and WWII items. The Radio museum has a large collection of amateur radios and equipment although the highlight was the hands-on telegraph. The kids really enjoyed sending messages in Morse code. Our young son remarked on the experience several months later. The only thing that disappointed the kids was the absence of a farm animal display, which is only present during the reunion. We drove out from Winnipeg along the Trans-Canada Highway to Brandon - about a two and a half hour trip. Although my husband and I lived in Brandon for over six years, we never visited two of the local museums. Isn’t that always the case? Just north of Brandon on Highway 10, 2 kilometers north of the Trans-Canada, next to the Brandon Airport, is the Commonwealth Air Training Plan Museum (www.airmuseum.ca). Tickets are $5.00 for adults, $3.00 for youths, and free for children 6 and under. 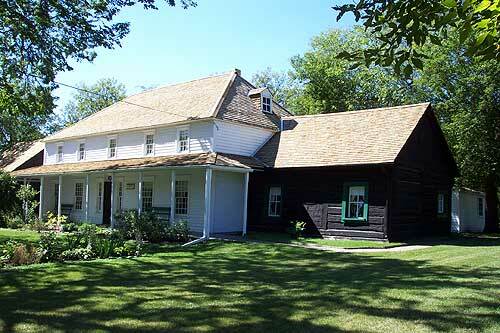 It has been designated as Special Themes Museum by the Province of Manitoba. Tours are self guiding. The British Commonwealth Air Training Plan involved commonwealth pilots and other aircrew personnel during World War II. In addition to Canadians, trainees came from Australia, New Zealand, and England. There were 14 training sites in Manitoba, and Brandon was one such site. Ironically, we lived in Brandon during filming (partly at this museum) of the Russell Crowe movie “For the Moment” which focussed on these Plan trainees. This is the only museum in the world chronicling the Training Plan. The museum is housed in a large WWII-vintage hangar. The size of the timbers for this building is staggering. The museum has an extremely large assortment of items from the training period, including photographs, posters and documents, medals, insignia, uniforms, flight suits, weapons, emergency and survival equipment, and specific equipment for each of the crew members: pilot, navigator, bomb aimer, gunner, and wireless operator. Several actual planes used for WWII training are there, some restored to flying condition. The kids enjoyed being able to climb in one of the planes and “flying” it. Ground vehicles such as crash and fuel trucks and staff cars, are also on display. Driving back to Brandon, we headed down 18th Street to the Daly House Museum. Admission costs $3.00 for adults, $2.00 for seniors, students and children, and $7.00 for families. Allow 1.5 hours for a guided tour. This is the refurbished home, built in 1882, of the first Mayor of Brandon, Thomas Mayne Daly, who later became a conservative Member of Parliament and the first federal Cabinet Minister from Manitoba. The three-story home is packed with stuff! It is furnished with period furniture and household accessories, mannequins in costume, photos and countless artefacts including a hat collection donated by a local Arts and Society columnist. Displays also include the wooden interior of the Mutter Brothers General Store and Brandon’s old city council chambers with old photos of council members on the walls. The basement has an eclectic collection of Brandon-area sport team photos, license plates, and various pieces of equipment - a telephone operator’s switchboard, medical and dental equipment, and a vintage seed sorter used by the A. E. McKenzie Seed company. The Museum also houses the Stephen Magnacca Research Centre specialising in family and Brandon history. Leaving Brandon, we drove south on Highway 10, then turned east onto Highway 2. 20 kilometers east, just north of the Highway, is the town of Wawanesa. Yes, just like the insurance company; in fact, the insurance company is named after the town where it originated in 1896. At one end of the main (4th) street, nestled in a former office of Wawanesa Mutual Insurance, is the Sipiweske Museum. The name, pronounced “Sip-i-whisk-ee”, is an aboriginal word that was the original town name, before local clergymen argued - incorrectly - that it referred to consumption of alcohol. Admission (2003) is $1.00 for adults, and 50¢ for children. Tours are self-guided. The is designated as a Manitoba Municipal Heritage Site (www.gov.mb.ca/chc/hrb/mun.html). Although not a very large museum, the collection is broken down into quite a few expertly arranged vignettes portraying pioneer life in the area. Some of the displays include notable residents of the areas, Nellie McClung, the Criddle/Vane family, and a large room displaying the history of the Wawanesa Mutual Insurance Company from its humble roots to its present position as one of the largest Canadian-owned insurance companies. Behind the museum is the St. John the Divine Anglican Church (1882) which was moved from nearby Rounthwaite and is still used for weddings. After leaving the museum, we drove north on Highway 340, turned east on Aweme Road, then four kilometers east to reach the Criddle/Vane Homestead, just recently designated as Manitoba’s newest provincial heritage park. 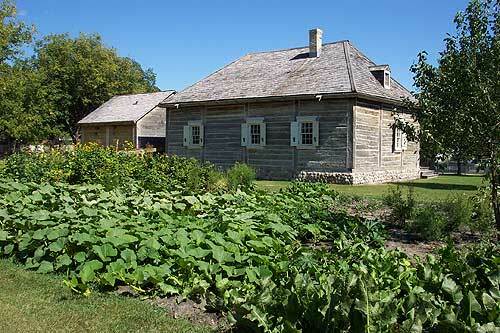 The family settled in Manitoba in 1882 and contributed to the science, sports, arts, and culture of the area. Percy Criddle, his wife Alice, housekeeper Mrs. (Elise) Vane and their children lived in a large, log home. The last of the family left in 1960. 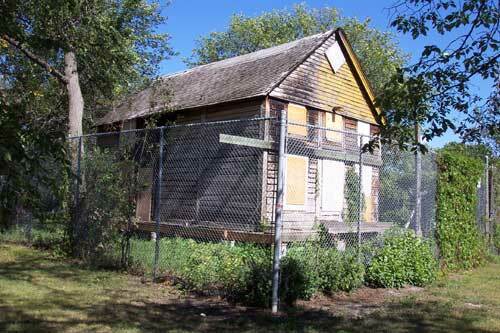 The site includes the new Criddle home (built in 1906), the remnants of Western Canada’s first entomological field laboratory, foundations of several farm buildings and landscape features such a golf course and tennis courts. A family cemetery is within walking distance of the farm site. We doubled back on Highway 340, south to Highway 2, then east to the town of Glenboro. On Railway Avenue, you can see the abandoned Canadian Pacific Railway Water Tower, built in 1904. Designated as a Manitoba Provincial Heritage Site (www.gov.mb.ca/chc/hrb/prov/p092.html), it is the best surviving example of an intact, fully-equipped water tower and adjoining pump house that supplied the tower using a coal-burning pump. The wooden, octagonal tower was fitted with a 40,000-gallon cedar water tank. The tower was rendered obsolete when diesel locomotives replaced steam ones in the late 1950s. From Glenboro we drove east along Highway 2 to Highway 34, south to Highway 3 and east to the town of La Rivière, three kilometers east, then six kilometres north on Road 52W to the Archibald Historical Museum. Admission is $4.00 for adults and $2.00 for children, including a guided tour. Although this museum was out of the way, it was well worth the drive. Again, it is a place we should have visited long ago, as we have family ties to it. My husband’s sister worked there over 20 years ago and his grandparents helped with some of the building restorations. Founded by local resident William Wallcraft, now deceased, the museum’s administrative building houses an archive of books and photographs. Surrounding it are buildings that have been moved to the site from nearby areas. Two of Nellie McClung’s homes are featured, both furnished with artifacts and mannequins in period costume, including the 1878 log house where she boarded during her first teaching position (1890-1891), and a large frame house owned by McClung with her druggist husband Wes (1904-11). Nearby buildings include the Wilson home, clad in decorative tin siding (built 1880, with an addition from 1908), and the former La Rivière CPR station with its distinctive mansard roof. The roof, a feature of French derivation that was popular in the standardized provincial design used between 1880 and 1890, is the only existing example in Manitoba. The station, outfitted as it would have looked during operation, includes an interesting collection of booster cables for locomotive engines. It is a designated provincial historic building (www.gov.mb.ca/chc/hrb/prov/p081.html). In front of the station is the obligatory wooden caboose, dating from 1913. The former Archibald Methodist Church (Archibald United Church) is also located on the grounds. Sheds and a large, three-storey barn are filled with such items as buggies, cars, tractors, machinery, and tools. The second level of the barn has a representation of an old country store with all its goods. There also many free standing items including farm implements throughout the museum grounds, as well as a shed containing aboriginal artifacts. Leaving the Archibald Museum, we drove back to Highway 3, turned east, then north to the town of Carman. Located at the south end of Kings Park, at the corner of Kings Park Road and Highway 245, is the self-guided Dufferin Historical Museum. Although one of the smaller museums on our trip, it still had lots of items to see. It houses a collection of such pioneer “stuff” as household items, early 1900s furniture, clocks, toys, clothing, tools, farm utensils, license plates, books, coins, Aboriginal artifacts, and various weapons including a 128-year-old double barrel shotgun. Among the military memorabilia was an aluminium capsule that was attached to a pigeon’s leg for carrying messages in World War I. There is a large collection of photos from Carman and the surrounding area chronicling buildings, people and special occasions. A series of 24 watercolors by Arthur A. Brooks, depicting rural life circa 1900, is also displayed. A recent addition to the museum is the adjacent Sexsmith Morgan Log house decorated with period items (www.gov.mb.ca/chc/hrb/mun/m164.html). Leaving Carman, we drove home to Winnipeg along Highway 3, arriving late in the evening. One beautiful Saturday morning we drove out from Winnipeg on Highway 204 along the east side of the Red River to the intersection of Highway 44. On 44, just east of the Lockport Bridge, is the Lockport Provincial Heritage Park that includes the Kenosewun Interpretive Centre. Kenosewun is Cree for “There are many fishes.” Admission is free; self guided. The park is located on an archaeological site and the Centre houses a museum with displays of excavated Aboriginal artifacts dating back over 3,000 years. The dig unearthed carbonized corn from 1400s revealing that this is the earliest known area of farming on the Canadian Prairies. There is also a display featuring the history of the St. Andrews Locks and Dam (1907-10), a designated National Historic Site that is the largest Caméré Curtain Bridge Dam in the world. A short interpretive trail takes you from the Centre to the Red River by the St. Andrews Locks. Signs along the trail discuss how, for example, the rapids on the Red River influenced the culture of Aboriginal people living along the shore (www.gov.mb.ca/chc/hrb/plaques/plaq0377.html) and how the Locks and Dam were constructed (www.mhs.mb.ca/docs/pageant/11/locks.shtml). Our kids were amazed by the hundreds of American white pelicans feeding on the river flats. They also tried to see if fish were climbing the fish ladder (it was installed so fish could get upstream of the dam). The park also includes a picnic area, making it a nice destination for a Sunday drive and picnic. From there, we crossed the Red River and drove north on Highway 9 to Selkirk. Located at the corner of Queen Avenue and Eveline Street, at the entrance of Selkirk Park, is the Marine Museum of Manitoba (www.marinemuseum.ca). Admission is $3.50 for adults, $3.00 for seniors, $2.00 for students and children, free for kids 5 and under. There are coupons in the Entertainment Book 2004 and museum website; the tours are self-guided. The Marine Museum consists of six historic ships joined together with walkways. The kids really liked “walking” through the ships and checking out all the areas, from the engine room to the captain’s quarters decorated with marine artifacts. The history of each ship includes their owners, uses, pictures, newspaper articles, and interesting anecdotes. Nautical exhibits are located throughout the ships, including features on the history of fishing on Lake Winnipeg, the fishes of Lake Winnipeg, boat motors through the ages, and the history and rudder of an old Manitoba riverboat. The museum’s oldest ship is the passenger and freight steamship S. S. Keenora (1897) that sailed on Lake of the Woods, the Red River, and Lake Winnipeg. In 1917, it was even used as a floating dance hall. The next oldest ship is the C. G. S. Bradbury (1915) that was own by the federal government. Over her lifetime, the ship was used as fishing patrol vessel, a lighthouse and dredge tender, and an icebreaker. The other four ships include the Chickama II (1942), Lady Canadian (1944), Peguis II (1955), and the Joe Simpson (1963) named for the Selkirk hockey player, “Bullet” Joe Simpson. An authentic Lake Winnipeg lighthouse as well as various smaller boats and ship parts are displayed around the grounds. Making our way back from Selkirk, we drove south along Highway 9 then turned east onto Highway 238 (also known as the River Road Heritage Parkway). This is an eleven kilometer scenic drive along the west bank of the Red River dotted with historical buildings (many of which are designated as Manitoba Provincial Heritage Sites or National Historic Sites) as well as plaques, displays, and scenic lookouts. At the north and south ends of the parkway are information sites with interpretive displays of the Red River Settlement area during 1850s, including maps and diagrams. The River Road Heritage Parkway (north entrance) is also the site of Hay House (1861) (www.gov.mb.ca/chc/hrb/prov/p027.html). Built by Thomas Firth of the Hudson Bay Company, the home was purchased in 1900 by E. H. G. G. Hay, a prominent local businessman and politician. You can only view the building’s exterior because it is still a private residence. About four kilometers south on the Parkway is the Kennedy House, also known as The Maples (1866), for former residence of Captain William Kennedy (www.gov.mb.ca/conservation/parks/popular_parks/kennedy_house/info.html; www.gov.mb.ca/chc/hrb/prov/p016.html). Admission is free; tours are self-guided. Captain Kennedy was born into the HBC but later resigned in protest over the company’s aboriginal policies to become an explorer, entrepreneur and trader. Three of the rooms in the home are furnished in period items. Another room contains a display on the life of Captain Kennedy and a video presentation about the Red River settlement. A glassed-in tearoom overlooks the terraced beautiful English gardens and the Red River. A stroll through the gardens is a must! Continuing south along River Road, we reached St. Andrew’s-on-the-Red Anglican Church (www.gov.mb.ca/chc/hrb/prov/p053.html). I remember coming here when I was in elementary school and all I remember was that the kneelers were covered in buffalo hides - they still are! (It’s amazing what one retains from school days.) The Gothic Revival stone church is the oldest in Western Canada (1845 & 1849) and is still in use with many of its original fixtures. The adjacent cemetery is the burial place of many of the area’s early settlers and HBC officers. Our kids tried to find graves of the notable people. Located just south of the church, St. Andrew’s Rectory National Historic Site (www.parkscanada.gc.ca/rectory, www.pc.gc.ca/voyage-travel/pv-vp/itm7-/page10_e.asp) is also worth a visit. Donations are accepted; tours are self-guided. The Rectory (1854) is one of the first stone houses in the area and is of national significance due to its typical River Red settlement architecture. It has several displays about its founders, the work of early missionaries, and life in the settlement. Continuing south, we reached Twin Oaks. The private “English styled” finishing school, built for Miss Matilda Davis in 1858, catered to the daughters of the local elite until 1873. A plaque at a roadside pullout states that it owes its designation as a National Historic Site to its typical Red River architecture and its status as the first girls’ school in Western Canada. One can only see the house from the road, as it is now a private home. About one kilometer south is the Scott House (1855-56). Admission is free; always open. The house named for William Scott, its first owner, who was one of the many Orkney labourers and boatmen who came to work for the HBC. All that is left of the building is its stone shell and even that seems at risk; someone had vandalized parts of the building. A picnic area surrounds the house with interpretive markers highlighting important aspects of the house and site. We finally reached the River Road Heritage Parkway (south entrance). It had the same displays found at the north entrance minus the Hay House information. From there, River Road looped back west and joined Highway 9, from which we drove home to Winnipeg after an enjoyable and affordable trip just outside the perimeter. With only a half a day at our disposal, we decided to tour some of the museums and historical sites in Winnipeg. Although I had seen the Seven Oaks House Museum during my school years, my husband never did, so we decide to check it out as well as some other sites. To get to the Seven Oaks House Museum, you drive north along Main Street and turn east onto Rupertsland Blvd., then south on Jones Street, then left on Colleen Road. Despite having the address (115 Rupertsland Blvd. East) and driving directions, we found the museum difficult to find. The facility is seasonal and only open May through September. Admission is by donation. The name of the house comes from its location; it didn’t have anything to do with the battle of the same name. (More about that later.) Two buildings are located at the site. The two houses were built by John Inkster, an Orkneyman who was originally employed by the Hudson’s Bay Company as a stonemason, later becoming a farmer and merchant. (Inkster’s descendants would become prominent in Manitoba society, with perhaps the most well-known member being Colin Inkster, at one time the Provincial Sheriff, for whom Winnipeg’s Inkster Boulevard is named.) The smaller of the two buildings is the original (1851) log home. It now houses a general store but at one time half of it was the store and the other the home. As the business prospered, Inkster then built a larger two-storey home and converted the whole log building into a store. The larger house has the typical Red River architecture and is furnished with many original Inkster family items including certificates and some ornamental human hair weaving. We even viewed the cellar which was flooded during the 1997 flood. The buildings are designated as an historical site by the City of Winnipeg (http://winnipeg.ca/ppd/historic/pdf-consv/Rupertsland%20115-short.pdf) and the province (www.gov.mb.ca/chc/hrb/plaques/plaq1068.html). More information on the history of the Inkster house can be found in articles on the MHS web site here and here. After leaving the Seven Oaks Museum, we returned to Main and drove slightly north, right on the corner of Main Street and Smithfield Avenue to the Seven Oaks Monument which commemorates the Battle of Seven Oaks that took place on 19 June 1816. The clash was between the local Métis and settlers from the Red River Colony. A short fight resulted in the Governor and 20 settlers being killed and the colony being abandoned for a short while. 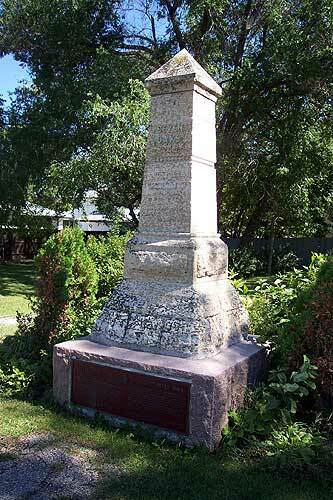 The first monument to the incident was put up by the Manitoba Historical Society in 1891 (see here) It was designated as a National Historic Site in 1920 but no plaque was erected until 1951. From there we turned back south along Main Street and turned into the Point Douglas area. At 140 Meade Street North (in Joe Zuken Heritage Park) is the Ross House Museum (1854). It was originally built along Market Street by William Ross and then it was moved several times once situated across from the Aboriginal Centre (old CPR Station) on Higgins. In fact, that is where it was located when I first toured it many years ago on one of my many school field trips. It was move to its present location in 1984. The MHS (www.mhs.mb.ca/info/museums/ross/index.shtml) runs the museum although the building is owned by the City of Winnipeg. Ross House is open from May to September, and admission is free. Ross House is a one-storey oak timber post and sill square log building constructed in the typical Red River Frame architectural style. The building is furnished in period items representing life in the 1850s. 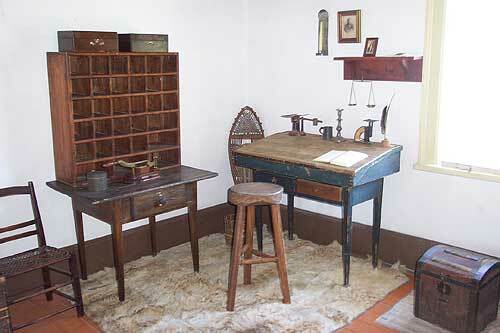 Items include a desk, a typical spool bed with a patch work quilt, several hand made chairs and braided rags rugs (these were specially woven reproductions for the house). Opened on 1 March 1855, the building was the first post office west of the Great Lakes. William Ross was also its first postmaster although his position was short lived, as he died less than two years later. The post office was kept running by his wife and family. It was interesting to learn that the cost of mail delivery from the Red River Settlement to Eastern Canada in 1855 was 10 US cents! I wonder what that would be in today’s money and we’re complaining about 50 cents. It took three to four weeks to gets to its destination  at least that hasn’t changed! Just a little north and east of Ross House, at 99 Euclid Avenue, is another property owned by the city: the E. L. Barber House (built circa 1862). The house was built by Edmund Lorenzo Barber and is another example of the Red River Frame architectural style although this version of the two-storey house has some significant modifications that may have been influence by Barber’s New England birth. The house is designated as a Heritage Building by both the City of Winnipeg (http://winnipeg.ca/ppd/historic/pdf-consv/Euclid%2099-short.pdf) and the Province of Manitoba (www.gov.mb.ca/chc/hrb/prov/p028.html). The house was occupied by the Barber family for over a century. The house is linked to some colourful anecdotal tales about the Riel Rebellion (www.mhs.mb.ca/docs/transactions/3/schultz_jc.shtml). In 1974, it was bought by the city; however, in 1993, the structure was partially burned and vandalized. At one time, there were plans for the building to be refurbished although currently it stands empty, protected by a chain link fence. Heritage Winnipeg recently received funding to study the possible restoration and conversion of the house so there still may be a chance of its preservation. More information on these early houses in Winnipeg can be found in a 1957 article by Lillian Gibbons (www.mhs.mb.ca/docs/pageant/02/winnipeghouses.shtml). It’s interesting that she mentions that in 1957 the Seven Oaks House was empty and that a service club was considering turning it into a museum. Perhaps this could also happen with the Barber House! In fact, in 1957, E. L. Barber’s daughter, Mrs. Sparrow, who was still living in the Barber house said she would like the old log house to become a museum. Another article by Ms Gibbons has additional history about the Barber house (www.mhs.mb.ca/docs/pageant/19/winnipegsoldesthouse.shtml). We also wanted to see the abandoned Ogilvie Flour Mill on Higgins Avenue before it was demolished. (Bids for the demolition had to submitted to the City by 4 March 2005.) The Ogilvie Flour Mill complex is the oldest industrial site in western Canada. In the late 1800s, Ogilvie was one Canada’s largest milling companies, exporting flour to Europe and other regions. The mill was built in 1881, making it the first flour mill in western Canada. This mill was fitted with all the latest equipment and used the “Hungarian process” which combined stone and gradual reduction rollers to grind grain into previously unattainable fine flours. The complex includes several buildings of different ages including the original 1881 six story brick mill building with metal clad mansard. A metal clad seventh floor was added later. A brick boiler and a massive 60 foot smoke stack was built in 1882. An eleven story concrete cleaning house was built later. This was an impressive site in its heyday as can be seen in a fire insurance plan from 1909 by C. E. Goad. One day before the demolition bid deadline, I walked into my hair salon, and was amazed to see a large painting of the mill and smoke attack on the wall. I then progressed to enlighten my hairdresser of the history of the Mill. All she knew was that it was some “old building” on Higgins. The mill was burned on 27 July 1967. Similarly to the Barber House, there were various plans for the building to be refurbished and reused but these never materialized due to the lack of money and forethought of the city officials. In 1993, the Canadian Wheat Board suggested redeveloping the mill into a World Grain Centre including grain-related tourism and business. However, after the 1997 Halloween fire, much of the original 1881 building’s interior structure was destroyed. The remaining shell and surrounding buildings have sat empty since then. Even after the destructive 1997 fire, Point Douglas artist Jordan Van Sewell suggested maintaining the impressive chimney as a monument to Winnipeg’s grain history. In 1999, the city took over ownership. The cost of demolition is estimated as over a million dollars. Afterwards, all that will remain will be a leveled, two-acre site with an assessed value of $222,000. Unfortunately historical buildings sit empty, then get vandalized beyond repair and finally need to be demolished at a high cost  usually to the city taxpayers. Through planning, perhaps the same money could be used for incentives to owners to restore and save the buildings and make them economically viable. The city is now trying to attract potential film makers to our city with our historic buildings. Maybe we should preserve the ones we still have. Imagine what type of movies our majestic old “gingerbread” city hall would have attracted! 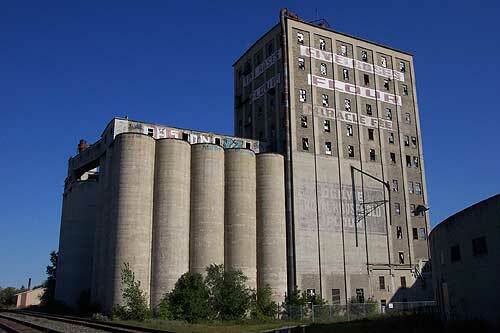 The historic Ogilvie Flour Mill was demolished in an impressive early-morning implosion on 21 August 2005. See here for a video hosted on the web site of the City of Winnipeg.